Food safety is the bread and butter of your business. Protect your staff, customers and business with the right ingredients in management and assessment! Hazard Analysis Critical Control Point (HACCP) Accreditation is everyone’s business. No matter if you’re running the business or fill in a shift once a month at work, everyone has to play their part - or face the consequences. But HACCP accreditation doesn’t have to be another extra thing piled onto your plate - getting HACCP certified in your workplace is easier than you think. At IQC Global, we go around to Brisbane, Melbourne and Sydney businesses and beyond and help them understand their food safety needs. We assess the current systems in place aligned with industry standards. We train management and staff to better understand their responsibilities and the consequences of their actions. We put in place simple to understand courses that teach the HACCP principles so that your system in place is effective, preventative and easy to understand. When it comes to running your business, the last thing you want on your mind is an outbreak of food poisoning! We’ll teach you what Microbial, Physical and Chemical hazards are, how to spot them and how to avoid them. No matter if you’re a producer or a retailer, all businesses within the food supply chain should comply with the HACCP Accreditation Standard. 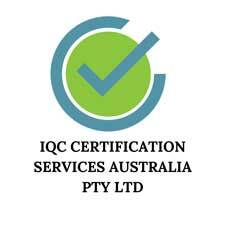 IQC make HACCP accreditation certificates easy to attain across Australia, from Melbourne through to Sydney or Brisbane. With a free quote, fast 30 min consultation and hassle free process, contact us today to get started!